Peter has long been fascinated by the beauty of bamboo, one of the fastest growing plants in the world, and prized for its strength, flexibility, and durability. 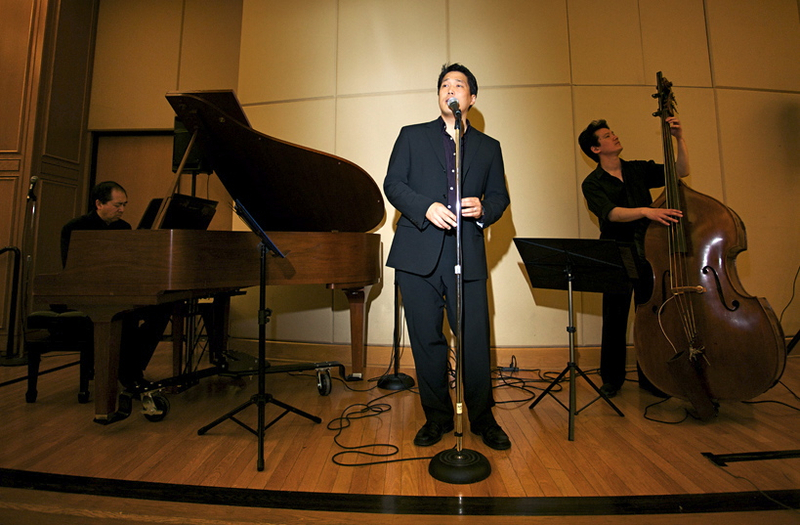 With these qualities in mind, Peter formed Bamboo Groove in May 2011 to integrate traditional and modern jazz styles, jazz interpretations of Chinese pop songs, and Mandarin versions of jazz standards. Bamboo Groove has been on an exciting journey of improvisation and creative emotional expression. 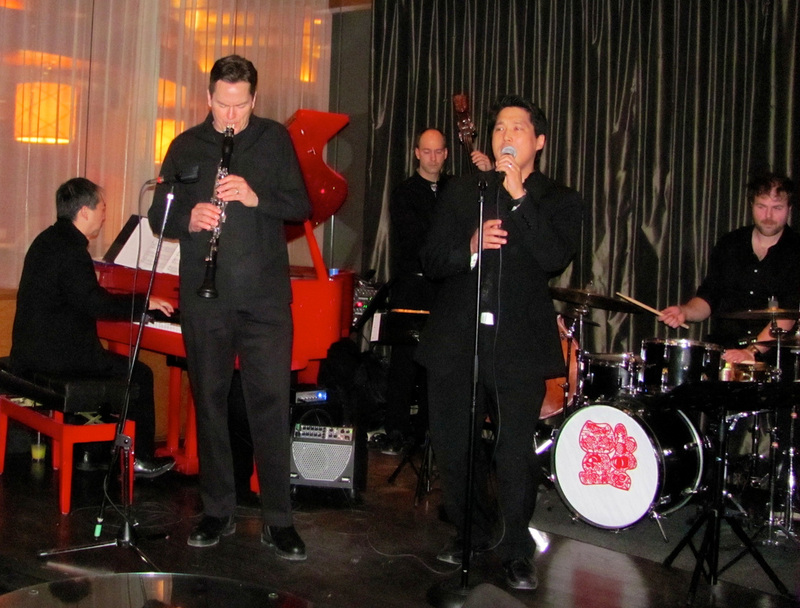 They performed annually for Ottawa's Asian Heritage Month celebrations, with full houses at the Shanghai Restaurant, Korean Palace, and Brookstreet Hotel's Options Jazz Lounge over the past years. Peter released his debut album, “Bamboo Groove,” on Friday, October 3rd, 2014 at the NAC Fourth Stage. He leads this fine ensemble in performing intriguing interpretations on jazz standards and jazz interpretations of Chinese pop and folk songs, with creative arrangements by pianist Peter Hum. "Bamboo Groove" takes the listener through a journey from the intense beginning of new love, through relationship challenges and fears, to a reflection on the romantic path. This video by Ottawa Jazz Scene provides clips from the NAC CD release concert, and more about the group and recording project. Recognized in Ottawa and beyond for his dazzling sound as a jazz clarinet virtuoso in the tradition of Benny Goodman and Artie Shaw, Scott Poll has an impressive performance history. Jazz pianist Peter Hum has consistently led a number of outstanding combos since the 1990s as a mainstay of the Ottawa jazz community, always playing with beautiful and inventive intensity. Known for his warm sound and energizing lines, Normand Glaude is one of the busiest local bass players, with many performing and recording projects around Ottawa. In-demand Toronto drummer and bandleader Tim Shia has played and recorded with many of Canada’s most acclaimed jazz musicians, and he provides the group with his exceptionally dynamic and sensitive playing. "Bamboo Groove" has received glowing reviews, and tracks have been played on many independent jazz radio stations throughout North America, and the album made its debut at #29 on the CMJ Jazz Top 40 Chart. Physical CDs can be purchased directly from Peter at performances. The digital album or individual tracks can be purchased and downloaded worldwide on ITunes and CD Baby. In Ottawa, "Bamboo Groove" is also available to buy at Compact Music (785 Bank St.), The Leading Note (370 Elgin St., #2), and Singing Pebble Books (202 Main St.). Bamboo Groove - "Gan Lan Shu (Olive Tree)"
Bamboo Groove - "Night and Day"